Travis Scott Reassures Fans He Still Has #1 Album During VMA Performance - Pop It Records - NEW MUSIC EVERYDAY! Nicki Minaj has been making headlines these past 24 hours for getting a little carried away with the numbers for her new album Queen. It was revealed on Sunday that Travis Scott’s Astroworld album would still be the #1 album for the second week in a row, whereas Nicki Minaj’s new Queen album landed #2 on her opening week, something she didn't take lightly. Nicki hopped on twitter and went off about Travis Scott using Kylie Jenner & a tour package to sell more albums, before alluding Spotify is favoriting artists and didn't support her album because of her deal with Apple Music for her "Queen" radio. In addition to that, Nicki also said she talked to Travis Scott, and he agreed with her that he doesn't have the #1 album. “I spoke to him. He knows he doesn’t have the #1 album this week. I love my fans for the #1 album in AMERICA! I’ll explain on #QueenRadio 4 albums in, #1 in 86 countries,” she wrote. Well it appears Travis might've just told Nicki what she wanted to hear because he’s out here yelling out that he still has the #1 album in the country. 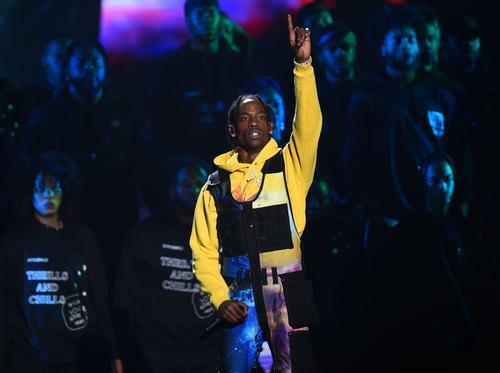 After finishing up his performance at the VMA’s, Travis gave a little tribute to the late Aretha Franklin, before screaming out, “Astroworld number 1 right now. VMA’s make some noise,” as he ran off the stage. The announcement is rather ironic because once again, Nicki said Travis agreed with her having he #1 album, but that’s not what he’s saying. So either Nicki lied in her tweets or Travis lied to Nicki and simply said what she wanted to hear, but either way the numbers don't lie. Check out Travis’ confirmation (below) and let us know what you think. Do you think Nicki lied about speaking with Travis or do you think he just told her what she wanted to hear at that time?